Pop quiz: Who is the single greatest television character of the 21st century? There are plenty of viable candidates for the honor, but, for my money, there's only one right answer: Cristina Freakin' Yang. For 10 years, actress Sandra Oh portrayed the ambitious heart surgeon on Grey's Anatomy with an honesty, fierceness, and vulnerability that was astonishing. (The fact that she never won an Emmy for her performance, despite five nominations, is criminal.) 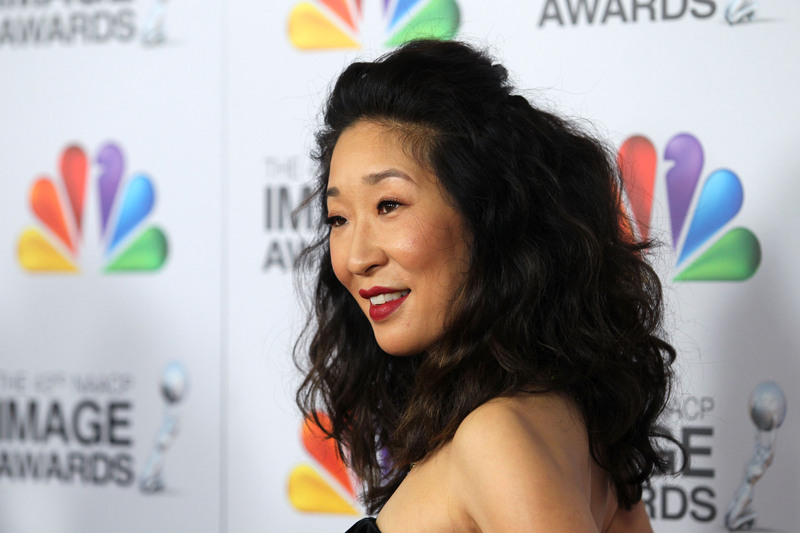 Fans have been clamoring for Cristina to return to Grey's Anatomy ever since she left Seattle for Switzerland… and they may have just gotten one step closer to their wish, since The Hollywood Reporter revealed that Sandra Oh is joining American Crime Season 3. In its third season, the anthology series — which has been an awards magnet for ABC, including two Emmys in a row for supporting actress Regina King — will shift its focus from the upper-class Indiana private school featured in Season 2 to Alamance County, North Carolina, where the show will highlight "labor issues and economic divides in addition to individual rights," per THR. According to the report, Oh will be playing a character named Abby Tanaka in a recurring role, "a social worker who runs a local shelter dedicated to housing victims of domestic abuse in the face of community indifference." So, while Abby may not be a heart surgeon, it sounds like she'll be an equally amazing human being as Cristina. But what does a role on American Crime have to do with Sandra Oh returning to Grey's Anatomy ? Excellent question, my friend. The actress hasn't been idle since exiting the long-running medical soap; she has appeared in a number of plays, indie films, and even a web series. But what she hasn't done is go back to television… until now. American Crime will mark not only Oh's triumphant return to the small screen — but also her return to ABC, the network that was her home for a decade while she starred on Grey's Anatomy. Could Oh's ABC comeback signify that the actress is more willing to entertain the idea of a return trip to Grey Sloan Memorial Hospital? As recently as earlier this month, Oh was claiming that she had no plans to appear on Grey's Anatomy (as she told ET Canada). But now that she's back at the Alphabet Network, surely it's only a matter of time before her old pal Shonda Rhimes ropes her into a guest spot on Grey's, right? We've had two sad, Cristina-less seasons in a row since her emotional departure from the show; surely it's time to check in with the character and see what she's been up to since moving across the Atlantic. And, if a cameo isn't in the cards for Season 13, then the TV gods better make it up to us by awarding Oh with that long-overdue Emmy. It's certainly not a stretch to imagine her following in King's footsteps to that podium next year. Cristina's future on Grey's Anatomy (or lack thereof) may be a mystery, but one thing's for sure: Sandra Oh is officially back… and not a moment too soon.